The idea of looking to nature for inspiration is a notion perhaps most notably associated with the arts, particularly painting and poetry. But Mother Nature isn't a muse exclusive to the artist; she can also inspire scientists, engineers and industrialists. Nor is the concept of borrowing from biology new to us. More than 3000 years ago the Chinese craved a synthetic silk, and more recently the Wright brothers based the designs for their planes on birds' wings. George Mestral grasped the concept for his invention, Velcro, from the burrs that stuck to his dog's coat, and the unique, super-efficient cooling system of the Eastgate Centre in Harare, Zimbabwe, is modelled on the system of ducts and passages used by termites to maintain a constant temperature in their mounds. It's on these foundations that the field of biomimetics has been built, and over the last 15 years it's gained momentum rapidly. Also known as biomimicry and bionics, biomimetics can be defined as "the abstraction of good design from nature" and came about when engineers and medical researchers realised that many of the answers they sought were already available in nature. For example, why spend many years and colossal amounts of money trying to design a new building material from scratch when the chances are there is something in nature that can already do most of what you want? Better still it's likely to have been refined to near perfection during millions of years of evolution. So, with a little ingenuity and some modifications, a once challenging problem can be elegantly resolved. Exploiting nature and avoiding the pitfalls that have already been ironed out by evolution is precisely what Thomas Speck of The University of Freiberg did when designing the "Technical Plant Stem", a novel material combining features from the stems of the giant reed (Arundo donax) and Dutch rush (Equisetum hyemale). Inspired by the observation of these plants standing tall, swaying in the wind and yet never appearing to break, this new material combines both stiffness and elasticity with a resistance to breakage and has the potential to be used in the fabrication of a wide range of applications from building materials to snowboards. This relatively new scientific field of Biomimetics is especially interesting as it brings together researchers from all disciplines to generate solutions to a vast array of problems and appears to be limited only by the imaginations of those involved. Geckos are amazing creatures with the ability to walk up the smoothest of surfaces and even on ceilings, but quite how these lizards achieve their adhesive properties eluded scientists for a long time. One suggestion was that, just like cartoon villains with suction cups strapped to their hands and feet, the geckos used suction to adhere to walls. This was ruled out when these sticky little creatures were still able to cling on tightly in a vacuum. Instead, since even the smoothest of surfaces have microscopic undulations, it was suggested that the geckos used friction to climbs walls, but this couldn't explain why they are able to walk on ceilings. Another hypothesis was that, like the cockroach, they exuded a glue-like substance from their feet, but this was not possible as their feet are dry and free from the glands required to excrete such a substance. The answer to this conundrum came about in 2000, when Professor Full and colleagues at UC Berkley looked more closely at the toes of the Tokay Gecko (Gecko gecko). They discovered that each of the gecko's toes were covered in thousands of tiny "nano-hairs", called setae, each less than one tenth the thickness of a human hair. At the end of each seta were hundreds to thousands of minute mushroom shaped structures called spatulae. The gecko's super adhesive abilities are achieved because these minuscule structures allow the geckos feet to get so close to the surface, such as a wall, that the molecules of the spatulae and the surface are able to interact electrically. This generates tiny forces, known as van der Waals attractions, that lock the two surfaces together. Although individually they are extremely weak, with billions of molecules interacting with each other the combined force is more than ample for the Gecko to stick to pretty much any surface. If your own hand had the same sticking power, it would be able to hold about 40kg. Once the mystery of the sticky footed gecko had been solved, the applications of this knowledge to technology were rapidly realised. Within three years a group of scientists from the University of Manchester, lead by Professor Geim, had produced a sticky tape that consisted of microscopic hairs of polyimide which mimicked a gecko's toes. This sticky tape was believed to be as effective as the real thing, and the researchers were not short of offers from Spiderman wannabes who volunteered to be hung from the lab window by the tape. Unfortunately, the would-be spidys' dreams were never realised, mainly because of the lengthy and expensive process used to produce the tape. Figure 1a: Scanning electron microscope image of a 1cm2 section of the Gecko-sticky tape. 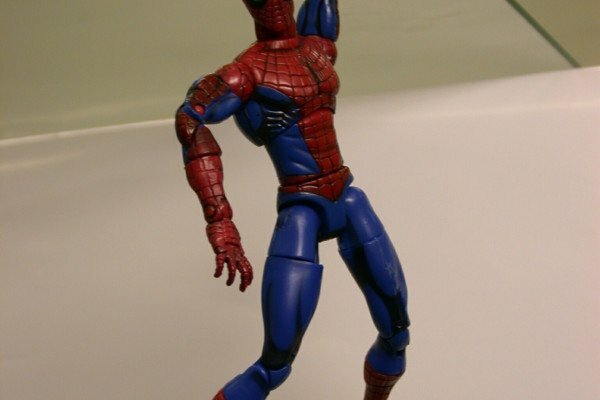 Figure 1b: Spiderman toy hanging from a glass plate, attached using the tape with a contact area of approximately 0.5cm2. Figure 1c: Bunching of the hairs is a problem that reduces the adhesive properties of the tape. In 2006 BAE systems announced that they were able to generate a gecko-like adhesive using a modified version of photo-lithography, the method used to make silicon chips, that was economically viable and easy to scale-up. This super-adhesive was made using polyamide, like nylon, and like the design from Manchester consisted of mushroom shaped structures. While not as sticky as the gecko's feet, it could quite comfortably stick an elephant to the ceiling, should you have any call to do so! However, unlike conventional adhesives, the gecko-inspired substance can be reused, easily peeling from the surface to which it was stuck, meaning that a Spiderman suit is now a possibility and no doubt likely to appear on a great number of childrens' (and adults') wish lists. The other advantage is that it doesn't leave any sticky residues behind, so no more patches of blue fluff where something was once stuck. But there are still advances to be made, and the scientists involved hope to make this adhesive even stickier, so for now we'll just have to wait and stick to using ladders for our window cleaning chores. Despite preferring to grow in muddy rivers and lakes, the leaves of the Lotus plant (Nelumbo nucifera) remain clean and free of contaminants, even after emerging from the murky waters. This self-cleaning ability is believed to be why this plant is regarded as a symbol of purity in many Asian religions and has been the inspiration for many biomimetic inventions. Instinctively you might think that smoother surfaces would be the cleanest, as grooves and ridges would only serve to trap dirt. However, on closer inspection two German scientists, Professors Barthlott and Neinhuis, revealed that the shiny detritus-free surface of the lotus leaf is anything but smooth. Scanning electron microscope images revealed that the leaves were very rough and covered in micro-lumps and bumps of protruding epidermal (outermost) cells, which were in turn covered in wax crystals around one nanometre (1 millionth of a millimetre) in diameter. The wax crystals are hydrophobic (water hating) and so they repel water droplets and help prevent wetting of the leaf surface. The combination of these micro- and nano-scale features greatly reduces the contact area between the surface and water molecules, which is the key to the cleaning process and explains how even a light rain shower is enough to wash the leaves clean. protrusions and collects pollutants, dirt and small insects as it rolls off the leaf. Instead of sitting flat along the surface of the leaf, the water only makes contact with the leaf at the top of the lumps (figure 2), which forces it into spherical droplets. Then, even with the slightest of angles, instead of sliding down the leaf surface the bead of water starts to roll and tumbles off the leaf picking up dirt particles and small insects as it goes. This process, called the Lotus Effect, is so efficient that even honey and water-based glues will roll straight off the leaves, leaving no trace behind. So-well has evolution refined this system that even hydrophobic dirt particles, which would ordinarily repel water, are trapped by the rolling water droplet and washed away. This is because the particles on the leaves only make contact at the tip of the wax crystals and so do not adhere very well. This means that the energy required by the water to pick them up is much less than the energy required to stick them to the leaf and so they are washed off. But this effective method of self-cleansing is not restricted to this sacred plant. It also operates naturally in cabbages, reeds and the wings of butterflies and dragonflies, and it has now been exploited by industry to produce several technologies including a water repellent spray developed by BASF. This agent uses nanoparticles and water resistant polymers such as polypropylene, polyethylene and wax that self assemble into tiny structures which can mimic the Lotus Effect. This spray can be effectively applied to a wide range of surfaces from masonry to textiles and leather. Other products in the same vein include Lotusan, a house paint that combines this effect with other characteristics of water-repellent paints, and a more water-efficient urinal that cleans itself using only a fraction of the water required by a regular facility. I can't imagine many people wouldn't be attracted by such technology: houses and windows that would clean themselves with every rain shower, shoes that no longer need polishing, clothes that shun dirt. And the technology can have a positive environmental impact too, dramatically reducing the water required to flush a toilet for example. Nevertheless, inspirational as nature may be, not all biomimetic innovations are direct copies of their natural world counterparts. Instead, sometimes the concept provides the clue to a more advanced technological solution. Take the blood clotting system for example. When you cut yourself, it is not long before your blood clots to prevent further bleeding and a scab appears. Hidden and protected by the scab your body repairs the damage below and after a short period it is as good as new. Figure 3a: Micro glass tubes used to contain the resin and setting agent. So can a similar method be adopted to repair wounds in the skin of a spacecraft? Well yes and no. On the one hand a self-healing system would spare astronauts from having to attempt risky repairs in space, but a repair that worked on the relatively slow time-scale used by the body's clotting system would be of little practical benefit, so it would need to be speeded up. With this in mind Drs Bond and Trask of Bristol University set about developing a composite material for use in space craft construction that would heal itself in the event of damage. Just as blood passes through tissues in tiny capillaries, the Bristol team have incorporated glass tubes (figure 3a), each only sixty microns (60 thousandths of a millimetre) in diameter, throughout the material (figure 3b). The tubes contain either a resin, or a chemical setting agent which triggers the resin to polymerise and set hard. This arrangement means that if the material is stressed or cracked, the tubes will rupture, allowing the two "clotting" components to escape and mix. The resulting hard plug will block the breach and restore strength and integrity to the material. Indeed, by including a fluorescent dye to the tubes, it's possible to see the new hardened resin being deposited wherever the material was damaged (figure 3c). Figure 3b: The glass tubes were set in the composite material in layers. Although the inclusion of the glass "blood vessels" reduced the strength of the material by 16% and the healed section was only 87% as strong as the original, this piece of research demonstrates that the concept of self-healing materials is feasible and now research is on-going to produce stronger "healants". Also, unlike the mammalian vascular system where blood circulates and is topped up in the event of loss, the present system works only once. So the team are now looking at ways to allow circulation and re-filling of the vessels. And just as our own circulatory system plays a key role in transport and temperature regulation in the body, it may be that the vessels of the space craft could be used to serve similar purposes too, helping to keep down weight and save space. Another feature of the mammalian response to wounding that would be useful in the vasculature of a space craft is bruising, which can indicate damage below the surface. Often fractures occur inside a composite material leaving no external sign of damage. But if a give-away "bruise" could be generated at the same time as the healant is deposited, it could be used to identify problem areas more speedily. Figure 3b: Repairs are localised to the areas of damage as observed using a flourescent dye. The idea of a self-healing spacecraft complete with vascular system may seem a little strange and even more advanced than many sci-fi movies, but with the speed at which these developments are being made it may not be too long before it becomes a reality. Sometimes inspiration can be gleaned from the strangest of places, such as worms inspiring the development of robots that could be used to carry cameras into your intestines, traffic systems modelled on the behaviour of ants, and the skunk cabbage that is revealing secrets of how to keep warm during the winter. Perhaps the most quirky phenomenon that sparked some research was the observation of bullet-proof pheasants. Occasionally, a pheasant can be hit with shot from a shotgun and yet escape unscathed, possibly due to its feathers absorbing the shot's energy. This sparked an interest in understanding the properties of the feather protein keratin and its potential use in high-velocity impact protection, such as bullet-proof vests. Other bio-inspired inventions include the sharkskin swimsuit, worn by 28 of the 33 gold medal winners at the swimming events in the 2000 Sydney Olympics. The swimsuit was designed to channel water over the body in the same way that a shark's skin does, reducing drag. Researchers have also been looking at the humble pine cone for other clothing ideas such as anti-sweat ventilation flaps that open and close in response to moisture when things get a bit sweaty. Penguins are also helping to keep polar explorers warm thanks to synthetic insulators based on their feathers; the breakthrough here is that, unlike down, they don't lose their insulating capacity when they become wet. Where the next invention or moment of inspiration will come from, is virtually impossible to predict, but nature appears to have an inexhaustible supply of answers. All we need is a little ingenuity an open mind. Previous Why Don't Woodpeckers Get Brain Damage?